Original phones manufactured from 1938 - 1956. The metal body shows a nice beautiful fluted base containing the bells. The body is made from metal, and features a unique gold-pattern inlay. 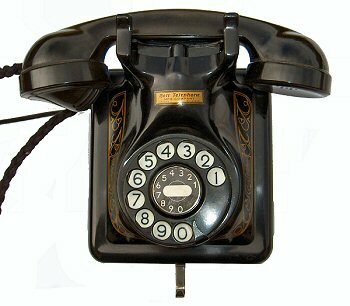 The handset is made from bakelite. All in all a very attractive and well made original working telephone.